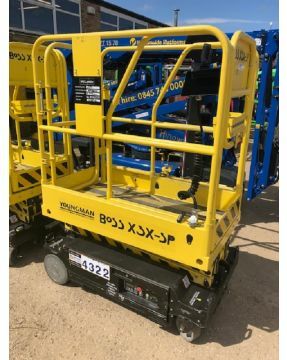 We’re proud to offer a selection of Approved Used and second-hand access platforms from a range of leading manufacturers including Approved Used Genie and Approved Used Hinowa. You’re welcome to visit our Approved Used centre to try before you buy and we have flexible finance solutions available too. Search our stock today. 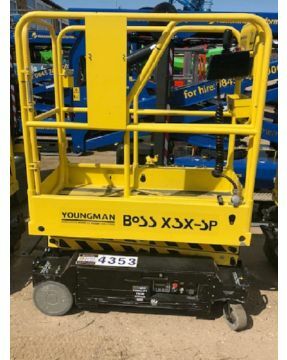 You’ll find a range of Approved Used scissor lifts, booms lifts, cherry pickers, trailer mounts, tracked platforms, spider boom lifts, van & vehicle mounted booms and push arounds, mast lifts & hoists. If you’re buying a used or second-hand access platform or material lift, you need to feel confident that it’s in good working order and perfectly safe to use! Our range of Approved Used equipment is designed to do just that. We fully understand the implications involved in purchasing equipment with a previous working life. 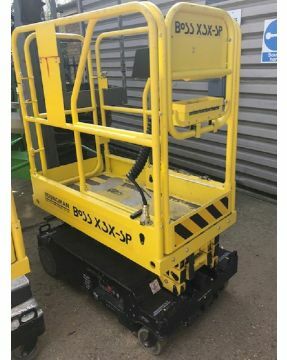 All our Approved Used access platforms and material lifts are trade-ins against new sales or from customers we know and trust. This, coupled with our extensive refurbishment standards, gives the assurance you need to invest with APS. We're authorised UK dealers for Genie, Hinowa, Niftylift, Aldercote, MEC, Youngman BoSS and Wienold, but we’ll also have used stock of Skyjack, Snorkel, Haulotte, JLG, Versalift that we’ve bought in as part-exchanges. Our stock is updated regularly on our website and you’ll find photographs, specifications, descriptions and of course fair market pricing. Buying a used, or second-hand access platform is often a very good choice and can afford you a bit more flexibility. Not only is it budget-friendly, it tends to hold its value if well maintained and you are often provided with a wider choice of readily available equipment. It’s ideal for short-term contracts or specific jobs and can be resold on afterwards with minimal depreciation. Our reputation for supplying quality second-hand and Approved Used equipment is well deserved, and we work hard to keep it that way. * Refer to our Approved Used warranty guidelines for full details.